This engagement session has a special spot in my heart. 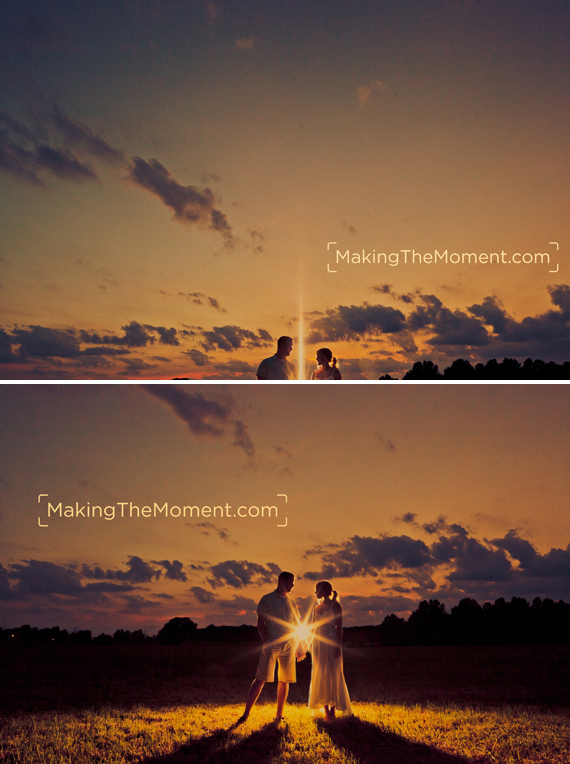 Not only are the images epic and awesome, but Kat & Brandon are wicked cool. 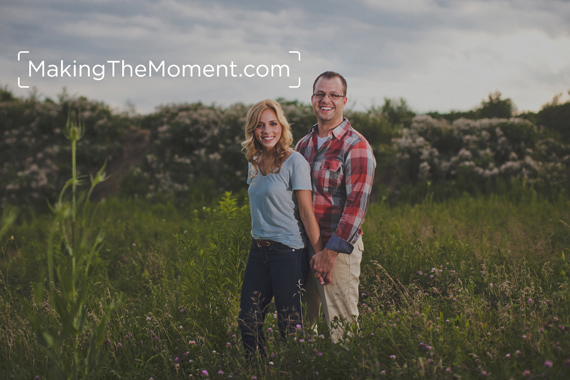 We spent the evening together for their “country-style” engagement session, and laughed and got to know each other really well. I ♥ these two! I can’t tell you how many sweet and fun moments we had together, it was just such a memorable and fun evening, words just can’t describe our time adequately. 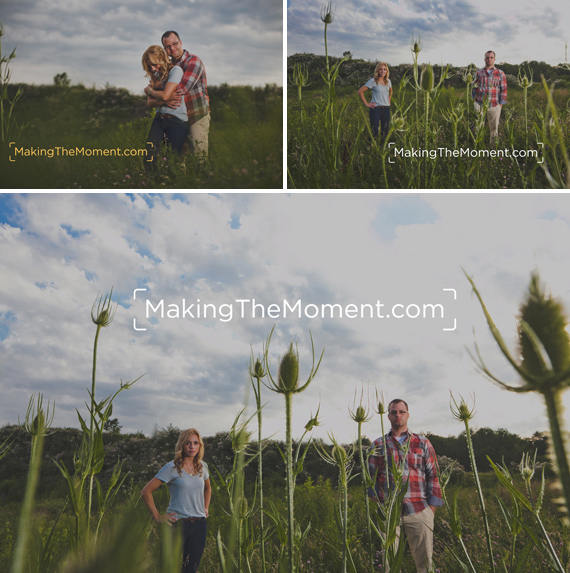 I took this these two out and about, to some fun little spots I’ve scouted out in the country near my home. It was a fun little engagement session adventure. 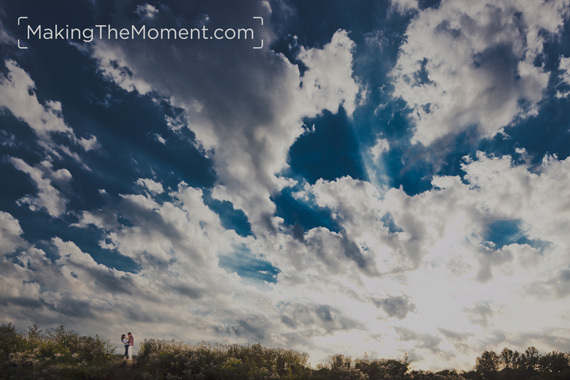 If you’re not careful, nature based imagery can be predictable – and that’s why I love engagement sessions like this. They’re way out of the box, always different, always fun 🙂 And how cool can the sky be in Northeast ohio? 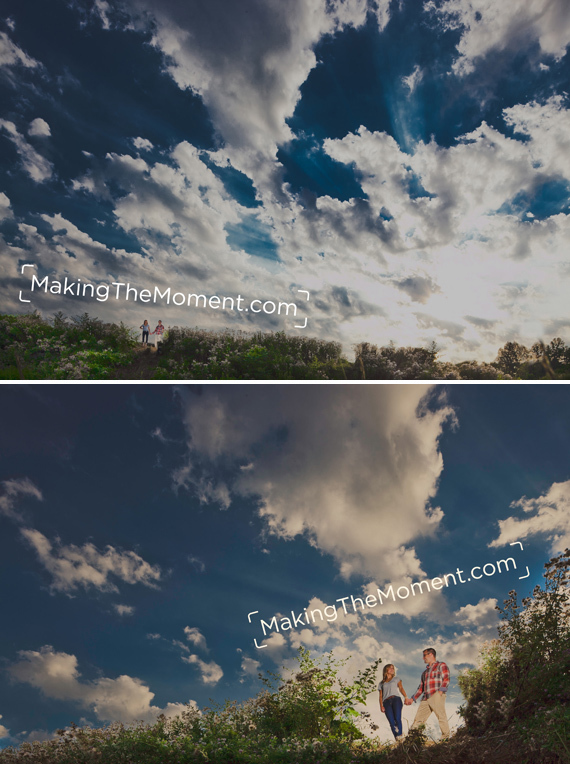 This cool; The two images above are far and away some of my favorite images ever captured! Up next? 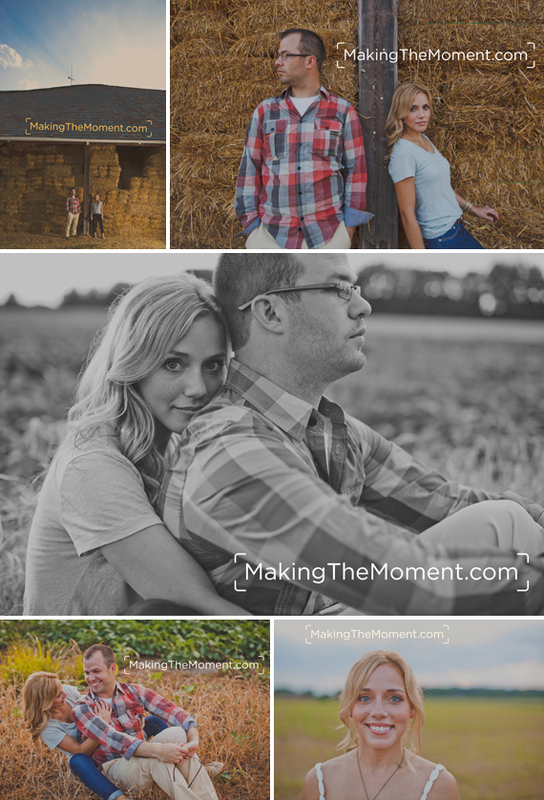 Some engagement session photography at a local barn & farm – yay for hay! Best part of our engagement session? The picnic. That’s right, Kat planned a little fun picnic just for the three of us. Did I say three of us? 🙂 I meant five! Another two “kats” joined us for our time. Honestly – cutest kitties ever. To keep them away from our photo session I had to lure them off to the side with their own plate of pie. 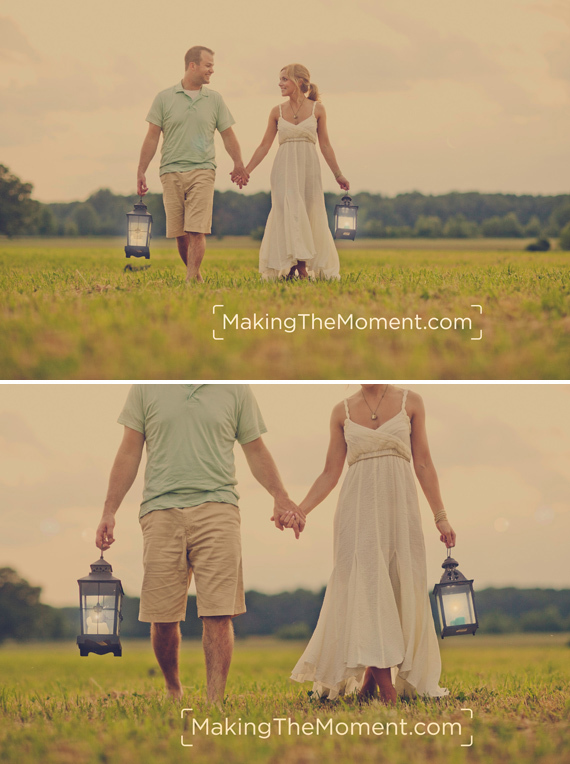 I love the vintage lamps we used in their engagement session photography – so classy! 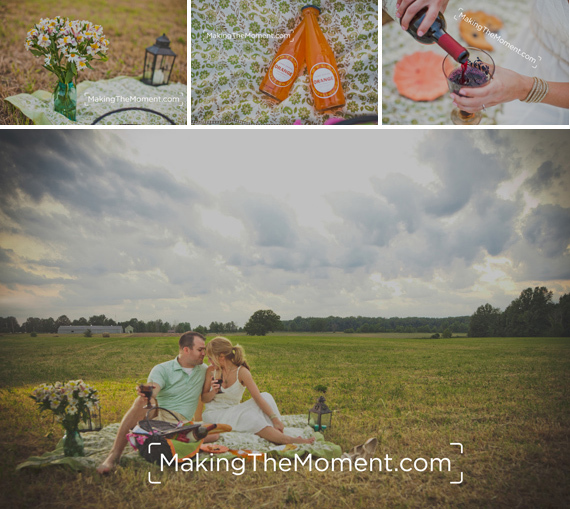 We even had fun after our engagement session – Kat, Brandon, Colleen (my wife!) and myself finished off the picnic wine together and talked late into the night. It was a sweet time for sure. Honest to goodness, there’s nothing like owning a business whre your clients become your friends. 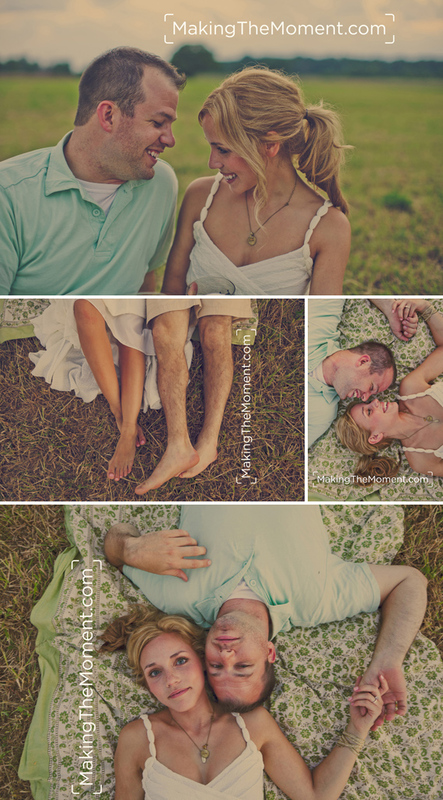 Kat and Brandon, I enjoy you both so much, and I’m so proud of your engagement session photography. I can’t wait for your wedding next year! Love these pictures!!! Awesome work!